The teenagers at the Orange County Children’s Foundation often don’t have families of their own. Many have been placed in foster care for their own safety, having experienced physical, sexual or emotional abuse by their parents. Christmas, for most of them, has not typically been a joyful time of year. But over the last few years, with generosity, love, and the help of some friends, Biola University alumnus Steve Miller (’03) has touched their lives by offering them a different kind of Christmas. Three years ago, Miller prayed with a friend about helping orphans in some way, but was unsure as to what organization to pursue. Three days later, Pamela Cutchlow, executive director for OCCF, arrived at his office, seemingly by coincidence. Miller gathered 20 friends and showed up at the foster home with gifts for each of the teenagers, giving them what they said was a Christmas they will never forget. 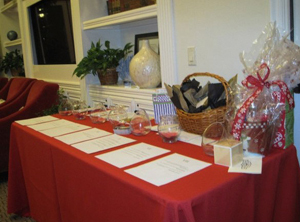 For the second year, a larger fundraising event for OCCF was held in place of the original event where they took gifts to the foster home. 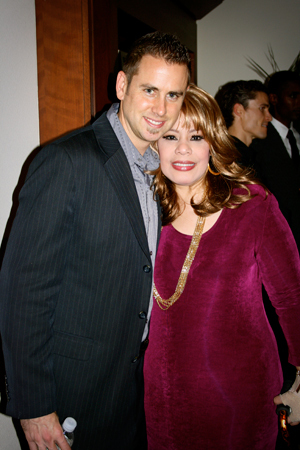 More than 100 people attended the event, supporting and giving to OCCF to help offer the teenagers a Christmas holiday. 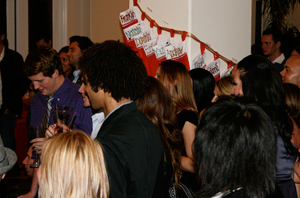 This year, approximately 20 Biola alumni assisted in coordinating the fundraiser, held on Dec. 12, 2009 at The Colony at Fashion Island. The Christmas party fundraiser included appetizers, refreshments and dessert with a minimum donation of $20 at the door. The money raised will not only contribute to Christmas gifts for the foster kids, but also towards their basic needs throughout the year. In addition to impacting those at OCCF, the fundraiser impacts those in attendance, Miller said. “I can see no greater joy than the knowledge that we are being used as vessels for God’s kingdom through this event every year,” he added. Miller said he hopes the teenagers can experience the knowledge that they can be part of a larger family in God’s kingdom — despite their current family situations.